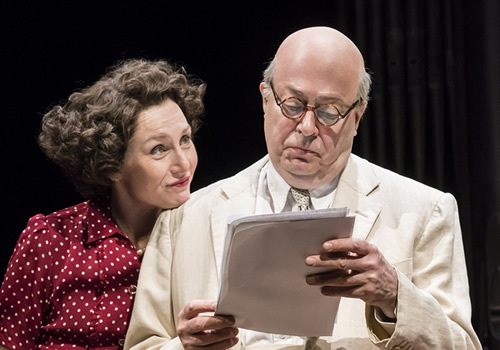 Jeremy Herrin’s acclaimed production of David Hare’s The Moderate Soprano receives its West End premiere at the Duke of York’s Theatre, following a sold-out run at the Hampstead Theatre in 2015. Described as ‘Glyndebourne’s Original Love Story’, the play discovers the truth behind the life of Glyndebourne founder John Christie. 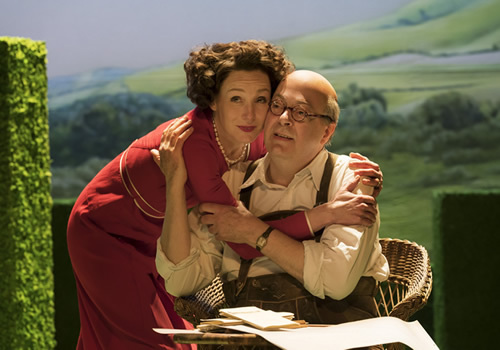 Set on the eve of the Second World War, the play follows John Christie’s relationship with his wife, soprano Audrey Mildmay, uncovering how an eccentric English schoolteacher formed one of the world’s greatest opera houses, alongside three refugees from a war-torn, terrifying Germany. Dubbing Audrey his ‘moderate soprano’, the touching and revelatory play sees his two greatest passions in life combined. 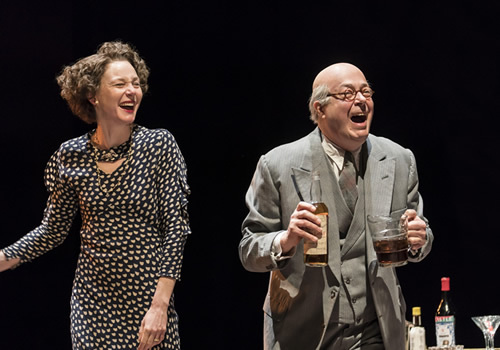 Roger Allam and Nancy Carroll return to reprise their roles as John Christie and Audrey Mildmay respectively, after receiving acclaim from audiences and critics alike at the Hampstead run. Allam is well-known for his multiple RSC roles, in plays such as Romeo and Juliet, A Midsummer Night’s Dream and Twelfth Night, as well as La Cage Aux Folles at the Duke of York’s Theatre and City of Angels at the Prince of Wales Theatre. Olivier Award-winning actress Nancy Carroll’s theatre credits including Young Marx at the Bridge Theatre and Woyzeck at the Old Vic, as well as Closer and The Recruiting Officer at the Donmar Warehouse. 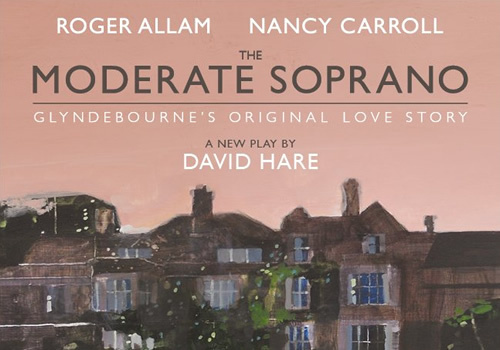 The Moderate Soprano is directed by Olivier Award-nominated Artistic Director of Headlong Jeremy Herrin, whose theatre credits include Labour of Love at the Noel Coward Theatre, and the multi-award winning People, Places & Things, which recently transferred to Broadway. Tony and Olivier Award-winning designer Bob Crowley produces a brand new set and costume design for the production. 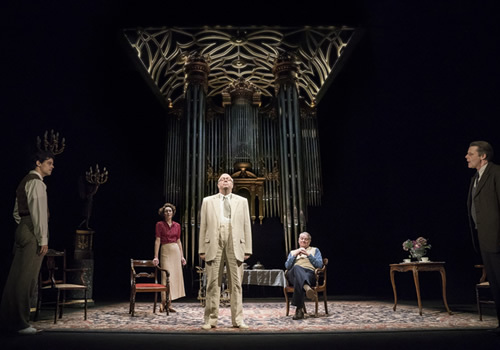 A celebrated show that received five star reviews from London’s major critics, The Moderate Soprano is the spellbinding true story of a love affair that produced one of the world’s greatest art houses. Playing a limited season at the Duke of York’s Theatre, The Moderate Soprano runs from April 5th to June 30th 2018, with an official opening on April 12th 2018. The Moderate Soprano may not be suitable for children.